Sun., July 15, 2018, 3:14 p.m. 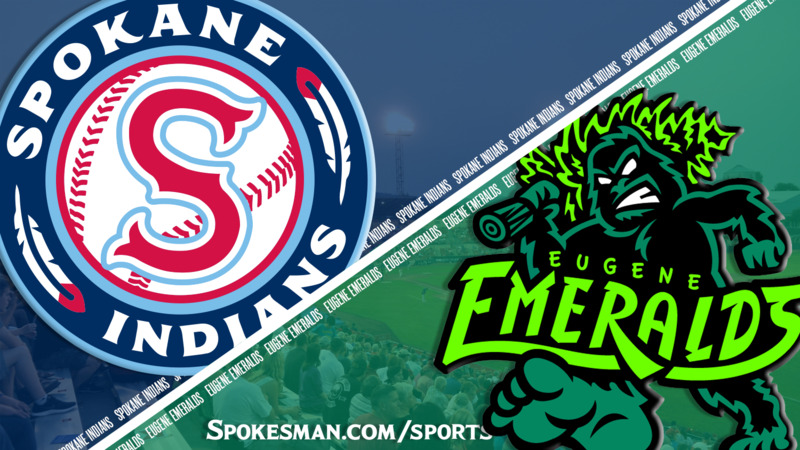 The Spokane Indians (11-18) face the Eugene Emeralds (10-19) in the finale of a five-game Northwest League series at Avista Stadium at 3:30 p.m. The Indians are four games behind Everett and Vancouver in the North Division with nine games to play in the first half. Indians righty Ryan Dease (2-2, 6.05) faces RHP Ryan Williams (1-4, 5.26) today. Dease has suffered back-to-back losses his last two outings. On July 7 he lasted 3.1 innings and allowed five runs on eight hits to Vancouver. Last night: The Indians (11-18) took advantage of a wild pitcher and a run from an error, and rode the arm of right-hander Seth Nordlin to edge the Eugene Emeralds 4-3 on Saturday, their third win in Spokane in four nights. Back-to-back solo home runs by Francisco Ventura and Tanner Gardner in the fifth inning were a boon, but it was 6 1/3 innings of Nordlin that handcuffed the Emeralds (10-19), the last-place club in the Northwest League’s South Division. Nordlin, who threw five shutout frames, struck out seven, yielded one run and six hits, and didn’t walk a batter. Player to watch: Juan Ventura. Ventura returns to the lineup for the first time since July 8. In his last game at Avista Stadium on June 25 Ventura went 2 for 4 with a run and helped lead the Indians to a 6-0 win in Vancouver. Transactions: RHP Wes Robertson assigned to Spokane (7/14). RHP Royce Bolinger assigned to Hickory (7/14). Sergio Suarez assigned to AZL Rangers (7/14). Promotion: Pink out the Park Day Game & Pregame Pitch for the Cure. Join the Indians in the fight against Breast Cancer as they wear special edition pink apparel that will be auctioned off during the game. In addition, the Spokane Indians will host a pregame Pitch for the Cure event. Stick around after the game for Catch on the Field. Weather: Game time – Sunny, 92. Final out – Sunny, 92. Published: July 15, 2018, 3:14 p.m.